TOP CLASS: G1-placed at 2, G1 Kentucky Derby runner up at 3! Ran the fastest winning 1-1/8th mi. on dirt for all Stallions retiring in 2017! Immediate family of Key to the Moon (Ch. 3 yo colt), Gorgeous (G1W Vanity H.), Seaside Attraction (G1W KY Oaks), Mint Lane (G2W Dwyer S.), Sharp Azteca (G3W), Bowies Hero (SW), etc. Firing Line is from the female family of matriarch and Champion Square Angel, through her Champion daughter and 1990 Broodmare of the Year, Kamar. 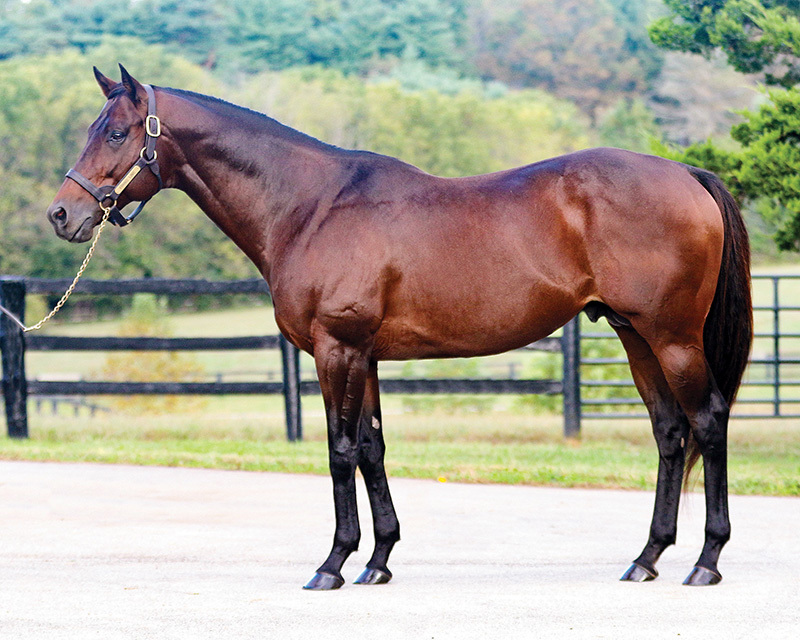 FIRING LINE RETIRES TO CRESTWOOD FARM! FIRING LINE, a Graded Stakes winner of $976,000 will retire to Pope McLean’s Crestwood Farm for the 2017 breeding season. FIRING LINE was a precocious G1-placed two year old, and was one of the best three year olds of his generation. He ran second by a length in the $2,000,000 G1 Kentucky Derby to eventual Triple Crown winner American Pharoah. 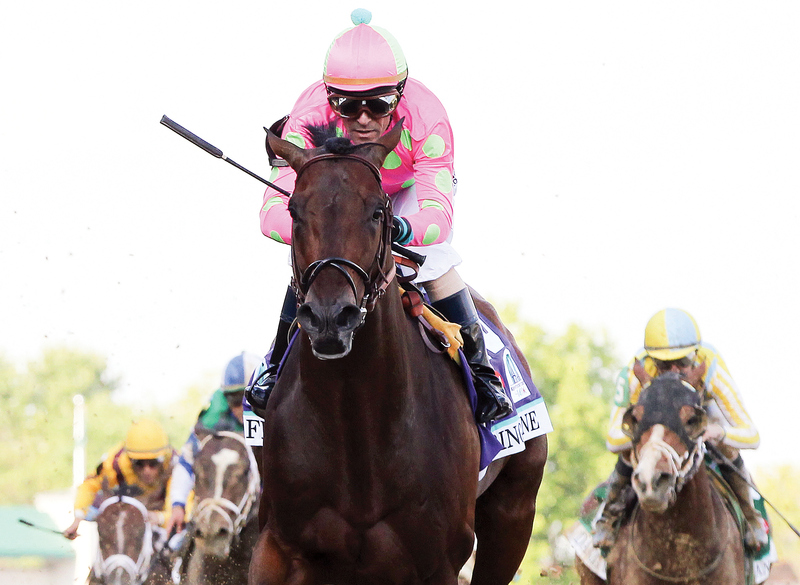 In the Derby, Firing Line defeated G1 winners Frosted, Dortmund, Carpe Diem, Keen Ice, and Materiality. In addition to his top class talent on the race track, FIRING LINE is an exceptional individual and was a $240,000 two year old purchase by Bloodstock Agent Ben McElroy on behalf of Arnold Zetcher. His 2017 stud fee will be $5,000 LFSN. He will participate in the “Share the Upside” program. (6.5f, D, defeating Anytime Anyplace, Passinaflash, Ideal, Just Kidding, Vicious, Run Henry Run, Big Hat Charlie, Blue Harbor, Clever Move, Go Trumpy Go, Captain G). (8.5f, D, to Dortmund, defeating Mr. Z, Bench Warrant, No Problem). (9f, D, defeating Where's the Moon, Pain and Misery, Tiznow R J, Dirt Monster, Why Two, Malibu Mogul). (10f, D, to American Pharoah, defeating Dortmund, Frosted, Danzig Moon, Materiality, Keen Ice, Mubtaahij (IRE), Itsaknockout, Carpe Diem, Frammento, Bolo, Mr. Z, Ocho Ocho Ocho, Far Right, War Story, Tencendur, Upstart). (8.5f, D, to Dortmund, defeating Rock Shandy, Hero Ten All, Tizcano).